The cold brings unique risk factors to your pets. We wanted to highlight some of the big ones below, so you can keep your furry buddies safe and happy. Animals are attracted to antifreeze, because of its sweet flavor. However, ethylene glycol, a chemical in antifreeze, is highly toxic to animals. If you use antifreeze, we recommend storing it far away from your pets and also purchasing ones that have an added bitter flavor to deter your pets’ interest. Also be aware of any pools of antifreeze below or near parked cars, as pets can drink from these puddles and get very sick. A warm fire is delightful this time of year, but make sure you put up a well-fitted and secure screen around your fire. Curious pets ( Here’s looking at you, cats) can get too close and burn their whiskers or skin. Just like us, our pets need a healthy dose of Vitamin D. The sun is the greatest source of Vitamin D, so be sure your furry ones are getting enough sunlight, even during the cold months. There are more deaths from Carbon Monoxide (CO) poisoning in the cold months than the warm. CO is a deadly and silent killer, so make sure your detectors are up and running. We hear a lot about not leaving your pet in a hot car on a hot day , and thesame philosophy holds true for cars on cold days. Also, do not leave your pet outside on cold nights. They get cold, just like us, and if they get too cold, their health can be put in serious danger. A nice warm coat is a good investment, too. Before you leave your house to start your day, check for any furry creatures under your car who may be hiding there for the warmth. It happens more than you’d suspect! Icy weather means salt. The salt can irritate your pets’ paws quite a bit. You can invest in protective booties for your pets to wear or use certain kinds of wax on their paws. If their paws do become irritable, you can soak the area in warm water, and/or gently wipe the area with baby wipes. 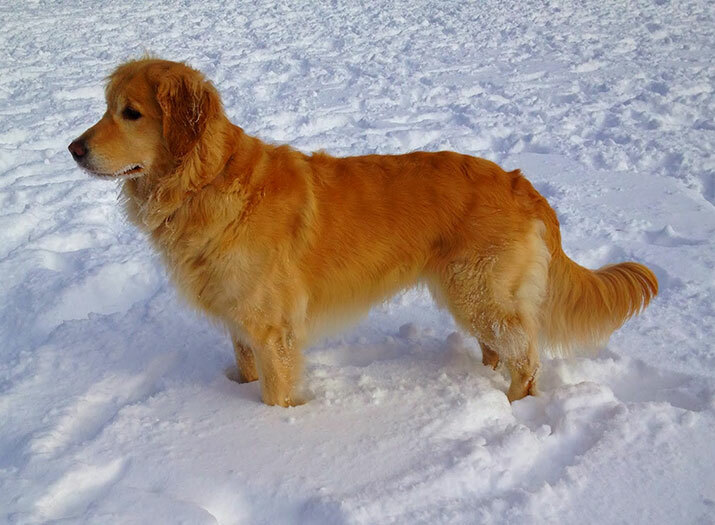 Snow can blunt your pets’ usual scent markers, so make sure you keep a close watch. Also, if your pet is a natural escape artist, be careful about shoveling piles of snow up against a fence. Your pet could use the snow piles as steps for jumping over the fence. If you are walking a dog that likes to run away in icy conditions, think of investing in a jogger’s leash, which attaches to you as well as yoru dog. That way, if one of you slips and falls, you are still connected. Your pets’ skin can become dry and flaky in the cold months, just like ours. Consider supplementing their dinner with fish oil ( Omega 3 fatty acids) to help preserve their skin. Old-Fashioned Radiators can give pets a nasty burn if they get too close. Consider purchasing a protective cover. Cold weather can aggravate arthritic joints. Memory foam beds and extra cushions can help with this. If your dog/cat likes to sit on the bed or couch, consider having a "step" to help them up. We all snack more in the cold! Remeber to keep chocolate, raisins, nuts, grapes, alcohol, coffee and sugar-free snacks away from your pets, as these foods can be toxic.